Keep meats, poultry and fish fresh up to 5X longer with the FoodSaver GameSaver vacuum sealing system designed for heavy-duty, repetitive use. 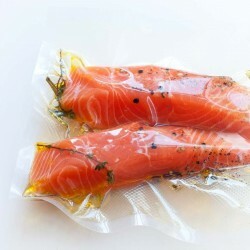 Continually seals up to 50 bags, it’s ideal for preserving freshly-caught fish and game. Use with a standard household outlet, or in the field with the 12 Volt DC Adapter (included). Features include an easy carrying handle, XL rubberized buttons and an XL patented removable drip tray for easy clean-up. Includes both a standard power cord & 4.5m 12 volt DC adapter cord to power from cars, boats & RVs. Heavy duty performance model specifically designed for out of home use to keep food as fresh as when caught. Locks air out & keeps food fresh up to 5X longer. Sturdy design with carry handle & large rubber controls. Able to perform 50+ consecutive vacuum seals & XL patented removable drip tray for easy clean up. Outlaw Herbs & Spices refill bags Outlaw Herbs & Spices refill bags. 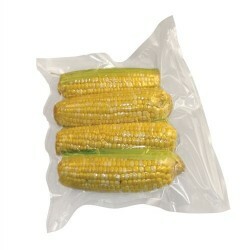 Default size is 100g.M..
With FoodSaver Rolls, you can custom make bags to any length you want. FoodSaver Bags are extreme.. 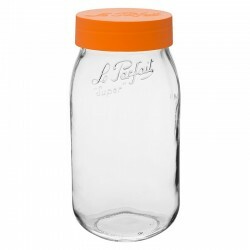 Built for bulk storage, Le Parfait Screw-Top Jars are a pantry workhorse. Their large size allows fo..